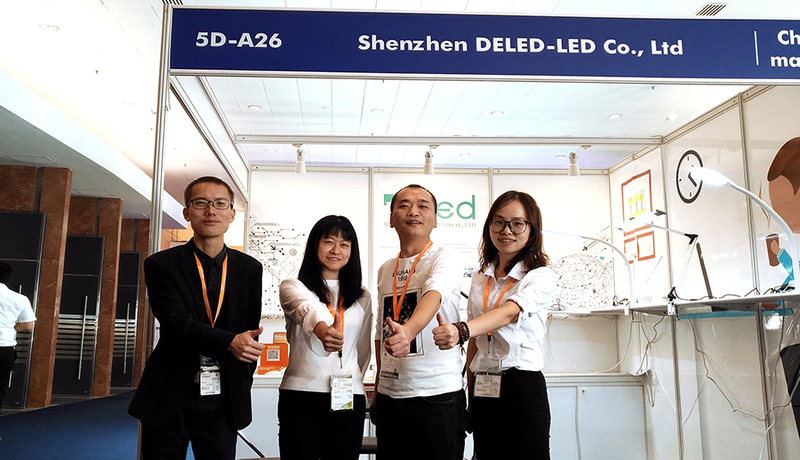 Autumn is a harvest season,Shenzhen DELED-LED CO., LTD Participated in the 19th Hong Kong International Lighting Fair Has ended on October 30. 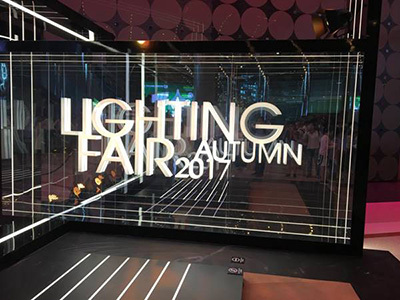 It was reported that this year's Autumn Light Fair attracted about 2670 exhibitors from 38 countries and regions, the number of exhibitors is the highest of the past years,and this is the first time that exhibitors from Denmark and South Africa. 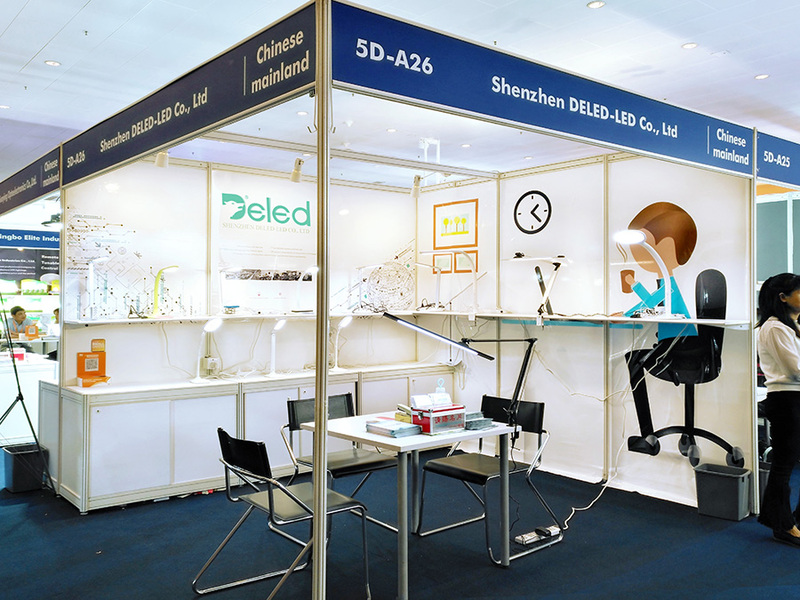 DELED-LED CO.,LTD focus on eye-protection led desk lamp. 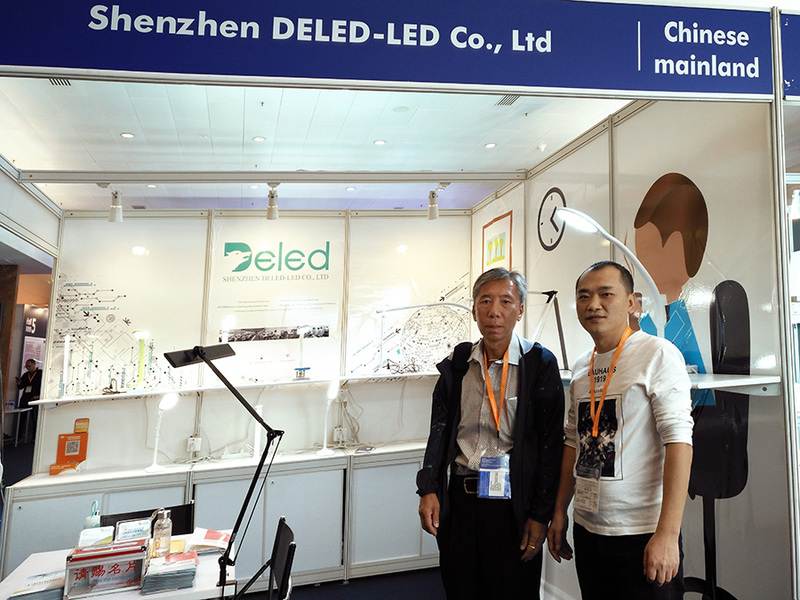 The LED desk lamp that DELED-LED CO.,LTD produced has been committed to the high quality light requirements. 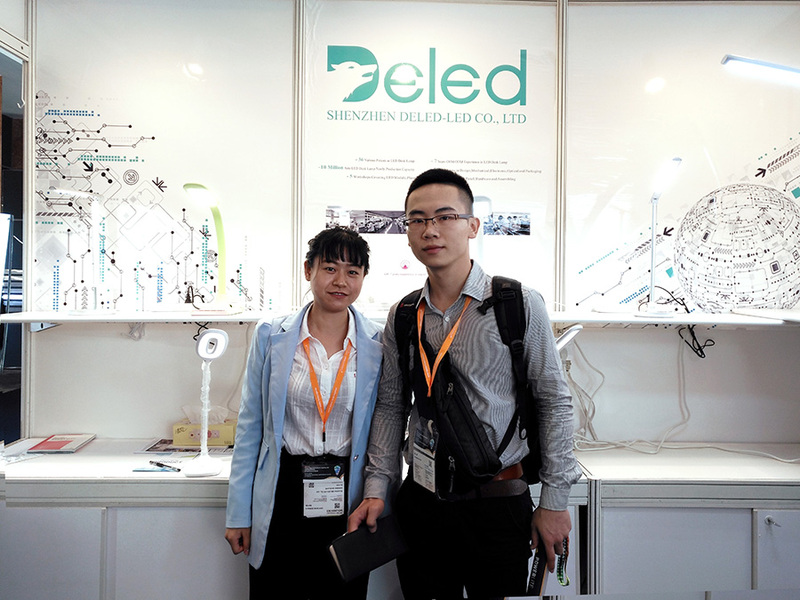 First of all, we are grateful to all ladies and gentlemen for visiting the Booth :5D-A26 of our company. We sincerely hope you have enjoyed the sweet candy and met your favorite eye-protection desk lamp. 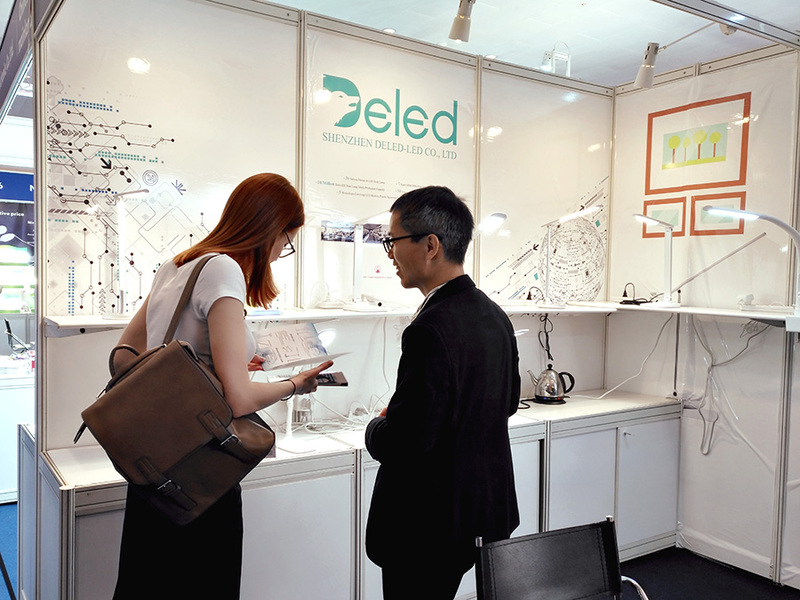 DELED is the leading eye-protection led desk lamp brand beside you. 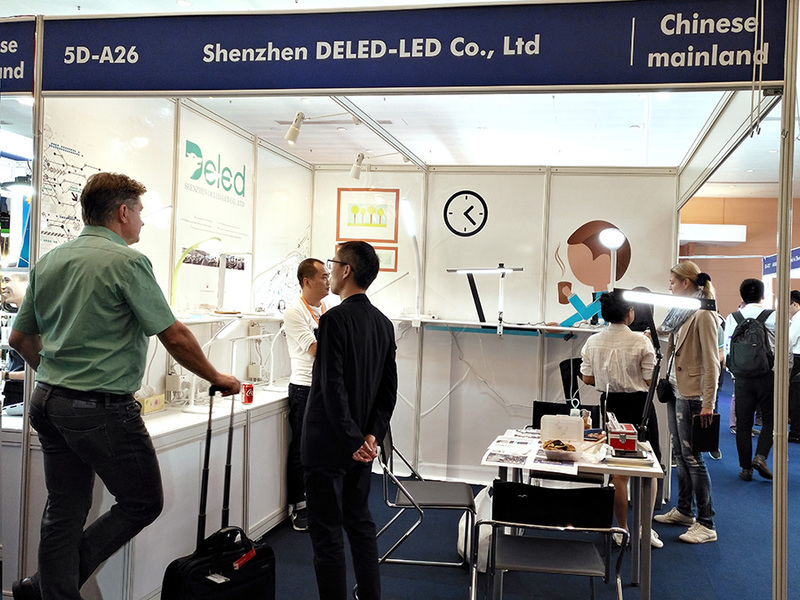 4 days exhibition, our booth was in full swing. 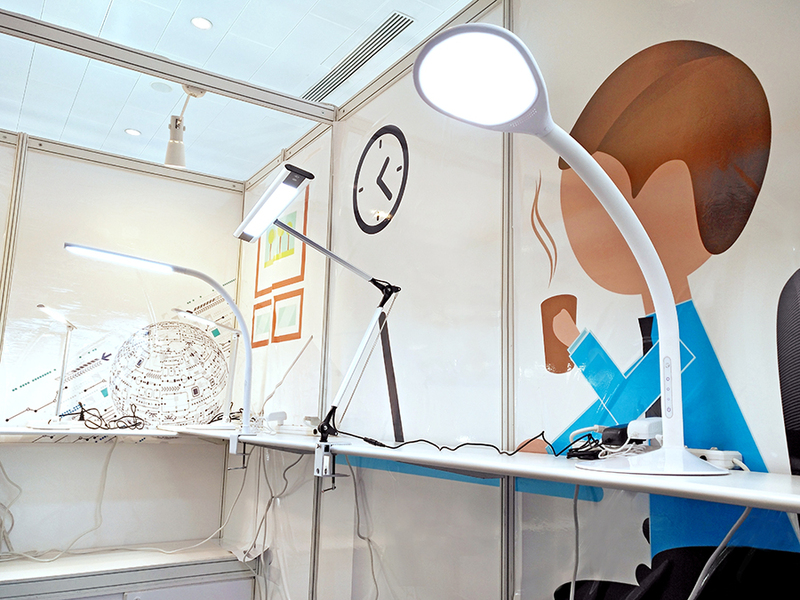 According to the environment of using LED eye-protection lamp , set the reading situation area and the business meeting area . At to making the products can be directly visualized and customers can fully understand the product features. Under the leadership of General Manager Mr Hu Wen, our team tried our best to making customers satisfied and relieved . 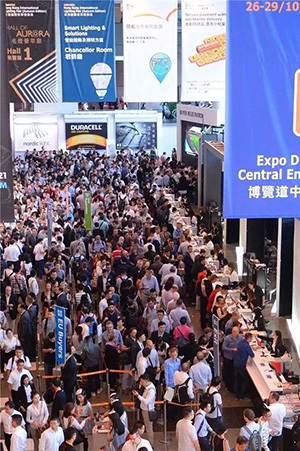 We professional answered to customer questions and consulting, so that our customers have more in-depth understanding of our company and products. 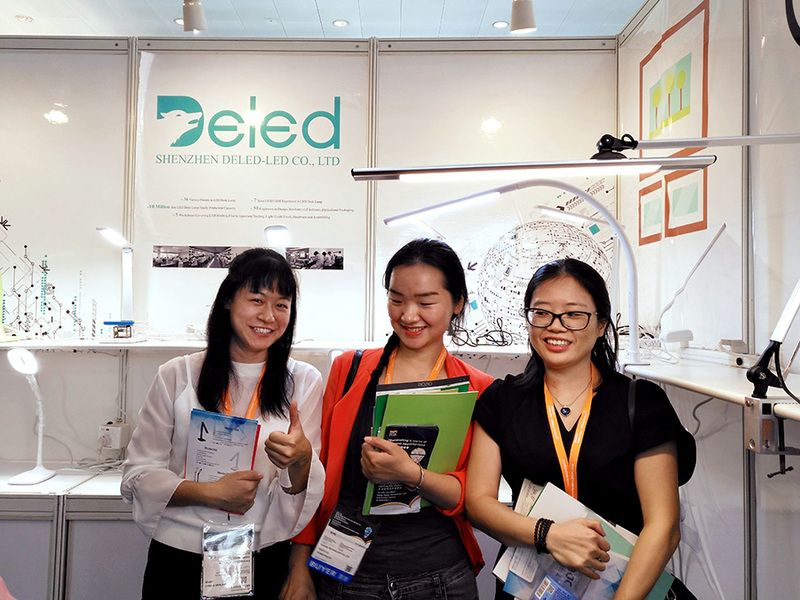 ▼ Our products were simple and fashionable design , delicate and beautiful style, attracted many visitors from home and abroad to consulting and making in-depth communication. ▼ The model :T266 ,food-grade Silicone sleeve ,supported any angles , gained the favor of the long-legged beauty from Russian. ▼ Handsome from Ukraine had Full of praise of the simple and portable model : H858 / H868 . 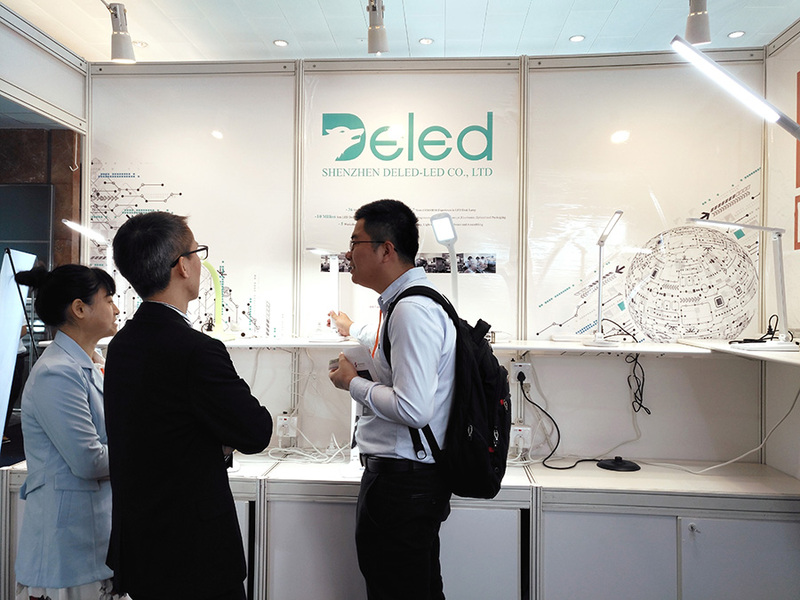 ▼Mr Que from Taiwan was attentively listen to our detailed explanation about the model: T209A. 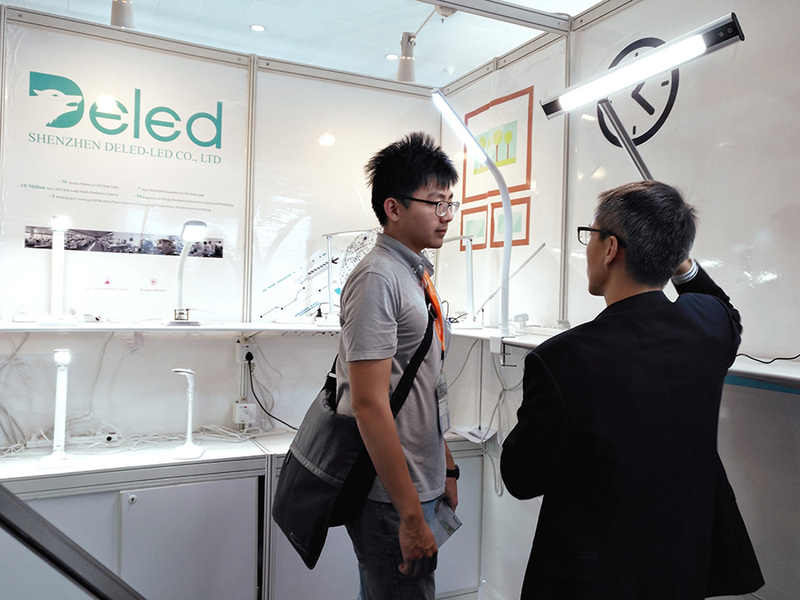 ▼Italy's gentlemen were very fond of silicone hose system clip lamp,as the model:T268. 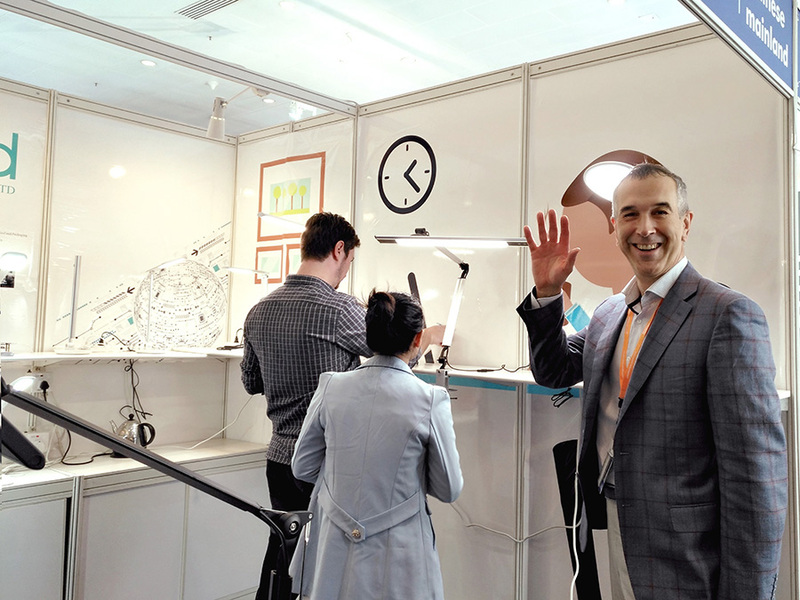 ▼Chairman of Prism Company from Korea Brings Team to our booth and consulted us about the model:T209A then completed Site Signature of this model. 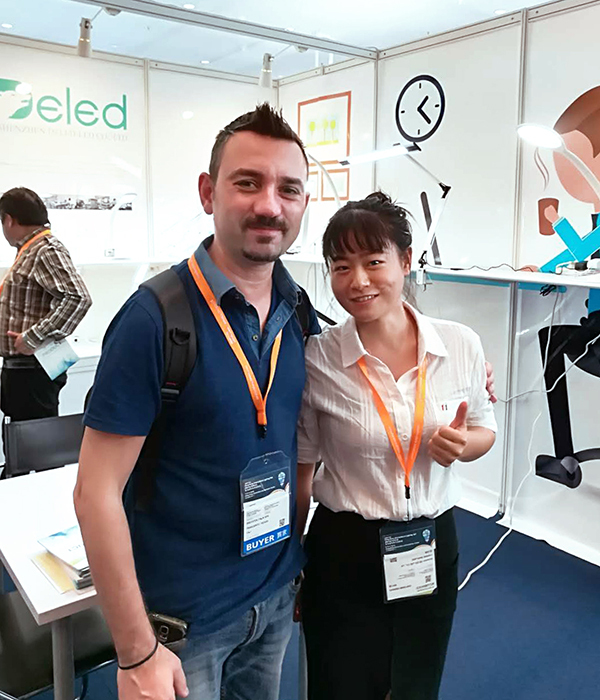 ▼ German customers was invited to come our booth, highly appreciated the model ;H5S with wireless charging function and simple and fashion design model: D3 built by pure metal. ▼ Ussian beauty customers were very concerned about the model :H5S and W8QIwith wireless charging function. ▼ Mr Hu patiently explained the model:H8S with 7 color changing function to the customer. 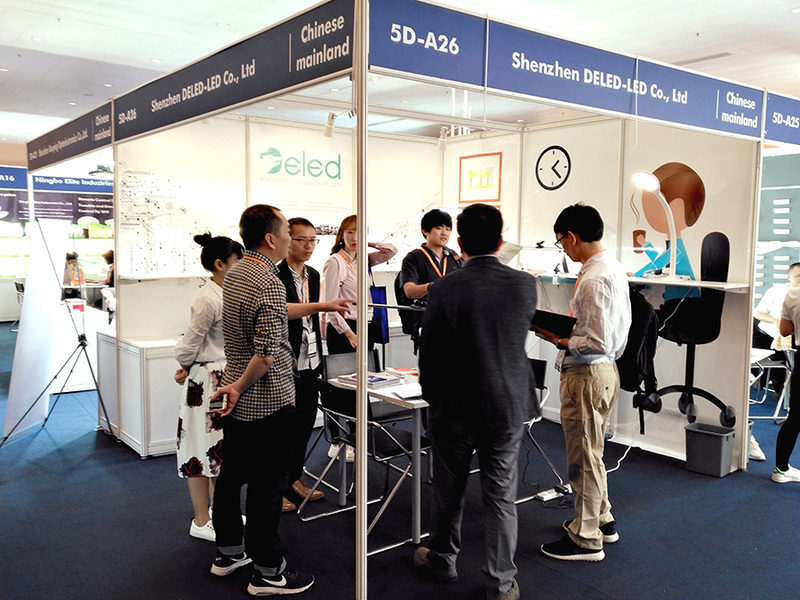 ▼ The model:H5S and W8QI with wireless charging function attracted many customers. 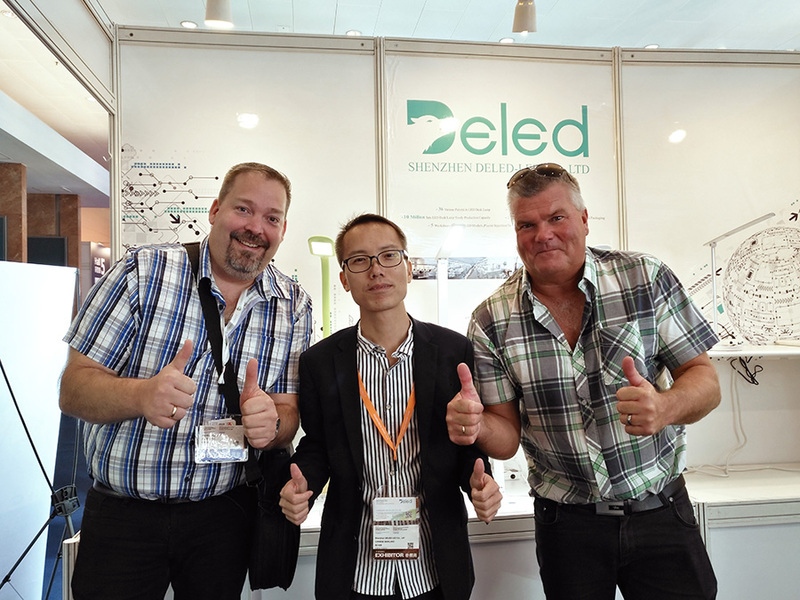 ▼ General manager of Hong Kong company emphasizes health lighting, had a cheerful communication with our General manager Mr Hu. ▼ A customer worked on Amazon ,like our simple design model:V5 at the first glance. 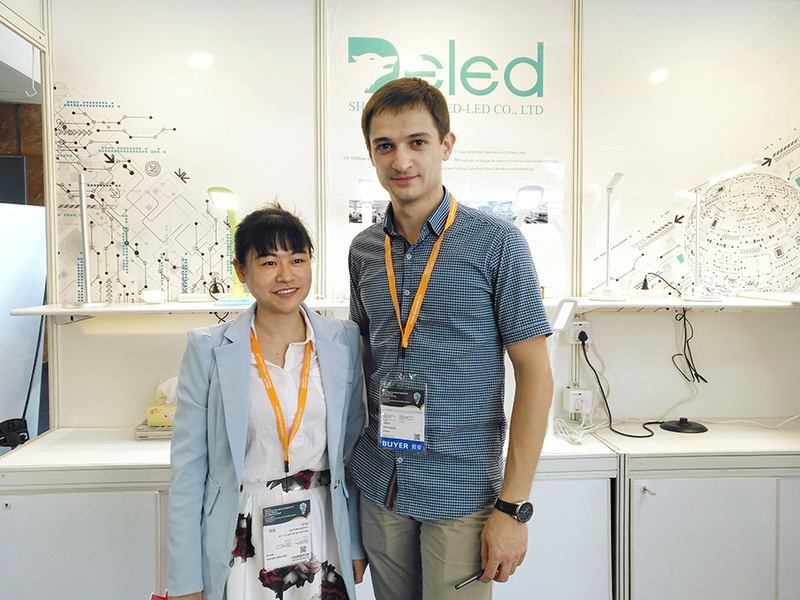 ▼ The purchasing manager from Germany company loved the model:D3 built by pure metal and bought a sample. 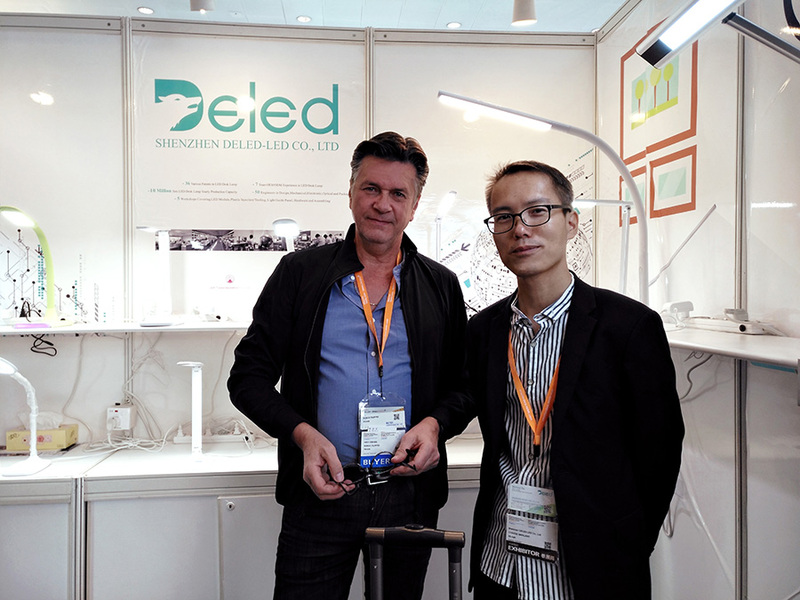 ▼ The French customer amazed about the model: T209A. ▼ Customer whose market is Australia was very optimistic about the model :H5S and W8QI with wireless charging function. ▼ Italian customers was pleased about the foldable and portable model: H7, V5 and L3. 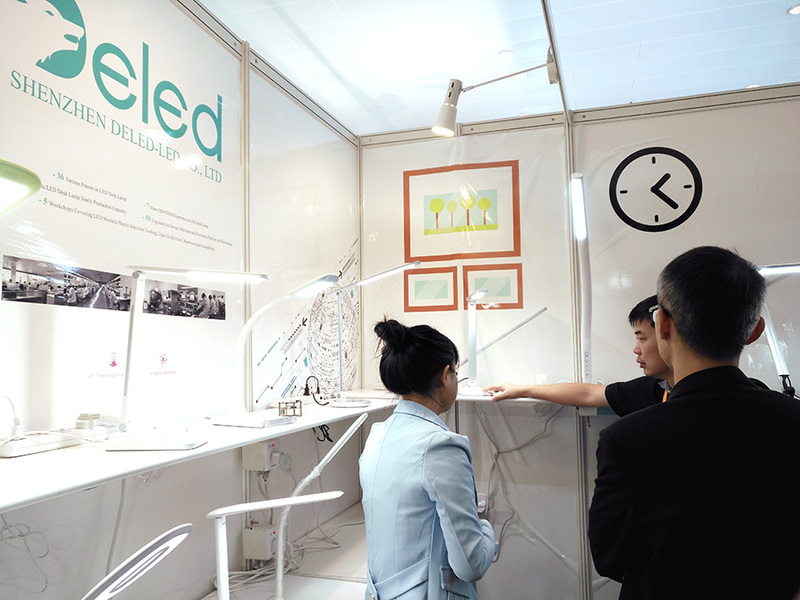 Each time the lamp was opened, folded, the light of lamp, the color changing, let customers felt comfortable and satisfied . Our products are environmental protection and energy saving, low maintenance costs and eye protection. 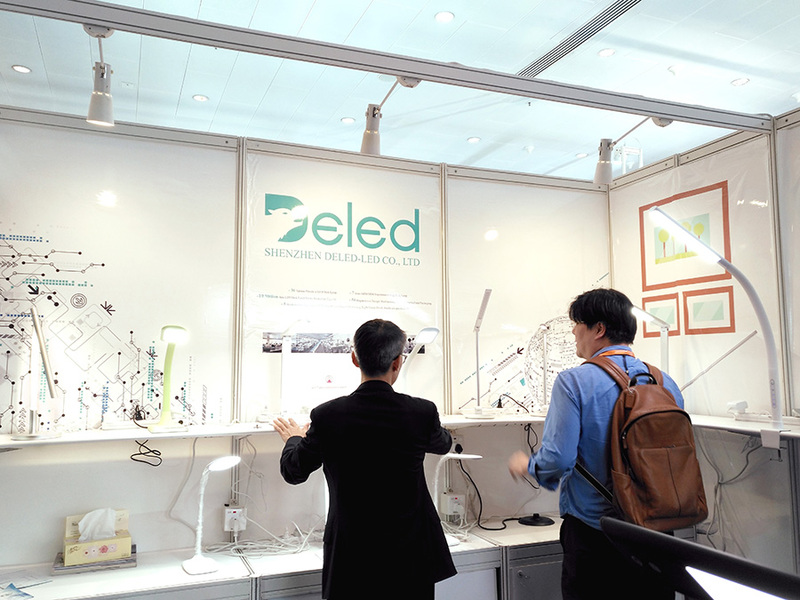 At the end of the Autumn Lighting Fair , we return with full harvest. At the same time, we will redouble our efforts and look forward to more exciting and successful of our company. 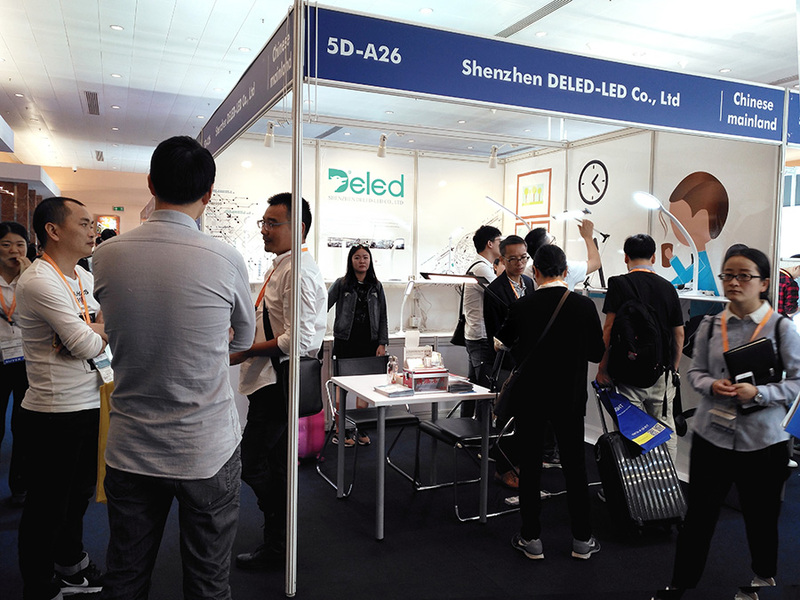 The Hong Kong International Autumn Lighting Fair, the concept "people-oriented lighting" enjoys popular support. Today's lighting design focuses not just on pure light effects, but more on experiencing color innovations, including those linked to human health. 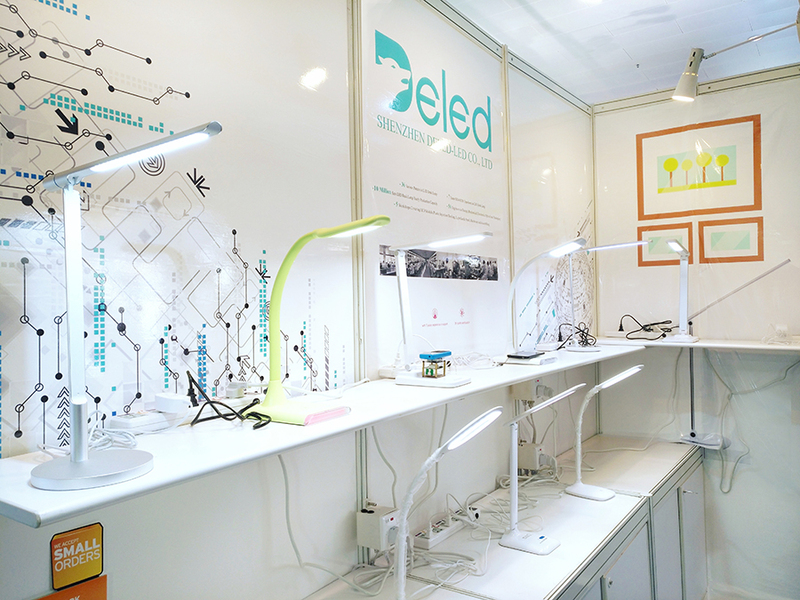 The LED desk lamp that DELED-LED CO.,LTD produced has been committed to the high quality light requirements.And leading producing LED desk lamps according with the national A-grade illumination standard ,to meet the market demand for safety and health visual desk lamp. 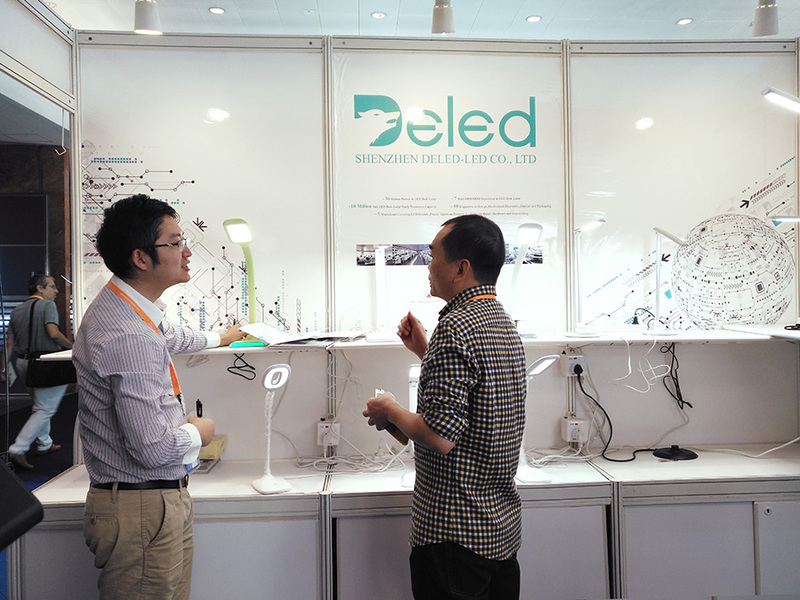 At present, DELED-LED CO.,LTD has cooperated with a number of well-known ophthalmic medical institutions and academic research. We will also be committed to struggling for the mission of protecting the health of the eyes in the future.